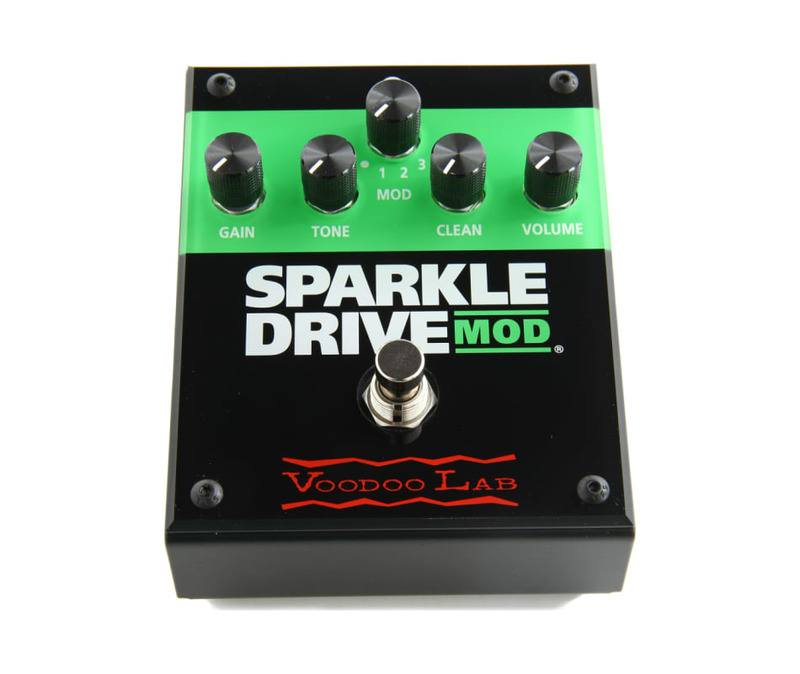 Voodoo Lab Sparkle Drive is an overdrive pedal featuring a unique "clean" control. Its overdrive circuit provides the same tone as a vintage 808. Then the clean control blends back in a boosted direct signal. This restores the attack and feel which is lost in a highly compressed overdrive circuit.